Find the Little Traverse Wheelway at our front door. From hiking the pristine beach fronts, sailing the waters of Lake Michigan, skiing on the Midwest’s best snow, and golfing some of the world’s best courses, the greater Petoskey area offers year-round splendor for the avid outdoor enthusiast. Guests of Bay Inn of Petoskey can plan to take special advantage of the new Little Traverse Wheelway, a thirty-mile bike path connecting Charlevoix and Harbor Springs, through Petoskey and surrounding the shoreline of Lake Michigan. 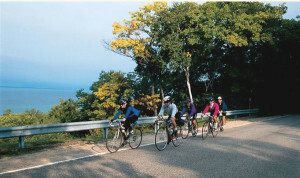 Avid cyclists will enjoy the convenient access Bay Inn of Petoskey offers to the waterfront bike path. Head out for a day of exploration and travel fifteen miles south to Charlevoix and fifteen miles north to Harbor Springs. The annual Zoo-de-mack bike trip, a May excursion of more than 2,400 bicycle enthusiasts, voted Bay Inn of Petoskey one of their favorite places to stay while riding. Bay Inn of Petoskey is also conveniently located just minutes from the Bay Harbor Equestrian Club, offering clinics, riding lessons and training. Guests will also enjoy the close-by convenience to area camps such as Camp Daggett for children, and the University of Michigan alumni resort, Camp Michigania. Castle Farms, located in Charlevoix is only a short 20 minute drive from the inn. The inn is also situated on the perfect southern shore of Little Traverse Bay, making the near-by shorelines the ultimate location for Petoskey Stone hunting. For those unfamiliar, Petoskey Stones, the state stone of Michigan, are a native fossil treasured by enthusiasts across the country and only found locally. Find your own on the beach or purchase a perfectly polished fossil at a local gift store such as Sturgeon River Pottery located just down the road from. 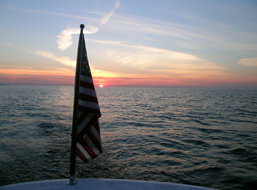 No matter what the season, the greater Petoskey area offers an array of outdoor activities. Considered a sportsman’s paradise and a naturalist’s haven, visitors of the area can take advantage of many wonderful outdoor activities. 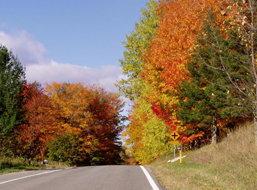 Northern Michigan offers wonder and amazement throughout every season. We hope that you will take full advantage of your Petoskey vacation and explore the lakes, the forrests and all the splendor that will surround you here at Bay Inn of Petoskey.